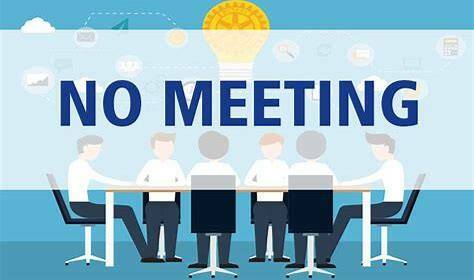 Reminder: No meeting on Thursday, April 18 as the Woman's Club roof will be worked on! Lincoln Wine Fest is only a few weeks away! Lincoln Wine Fest is coming April 27! Contact Richard Pearl to volunteer. Don't like to drink but still want to hang with your compadres? A Designated Driver ticket is available for $15 and includes bottled water and small bites of food at the retail locations! Mitch wins the raffle - $220! 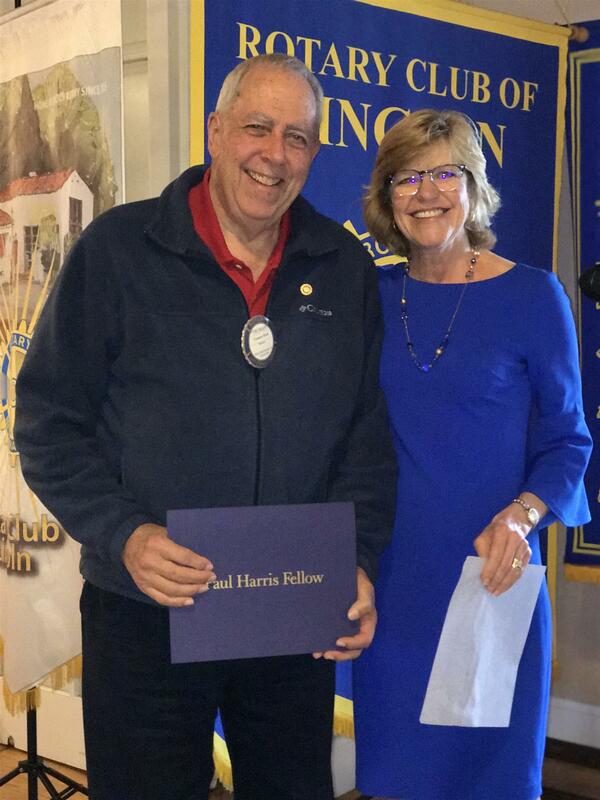 Congratulations to Truman, who earned his Paul Harris Fellow! 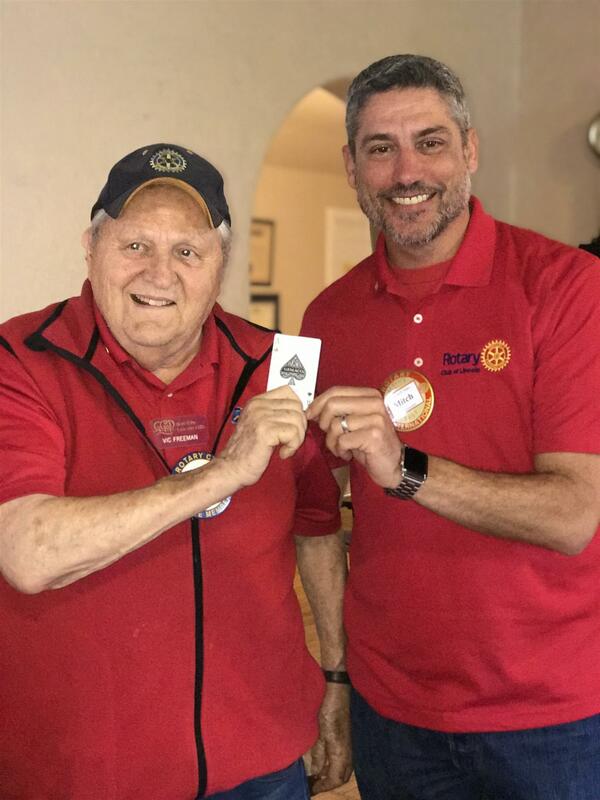 *Note: The Big Day of Giving is coming up May 2nd, and it's the perfect time to give to the Rotary Foundation...they will match up to 100 points for your contribution! 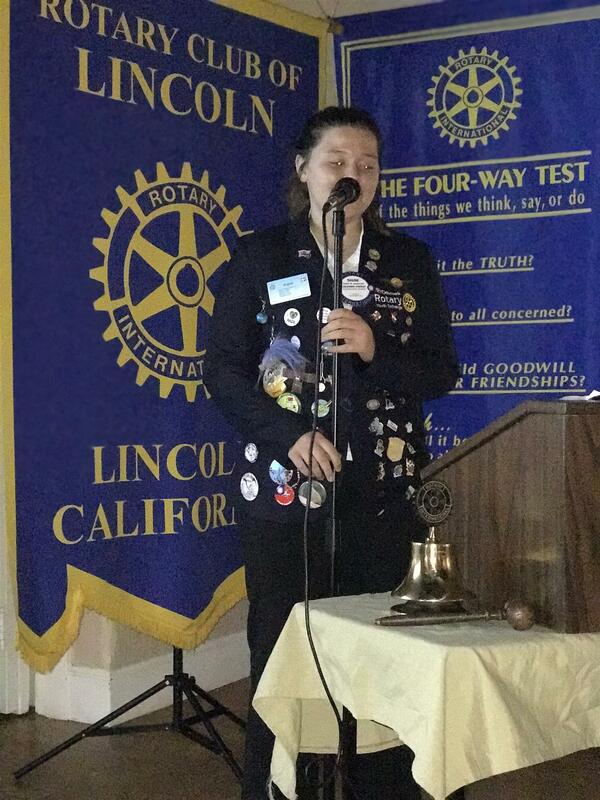 Signe did a fabulous job sharing her thoughts on being a Rotary Youth Exchange student! She talked about preconceived notions she had about the US, and about how everything is bigger here. She also discussed the differences in education in her country versus ours. She has truly enjoyed her time here in the Rotary Club of Lincoln and has grown to be a very special part of our club! 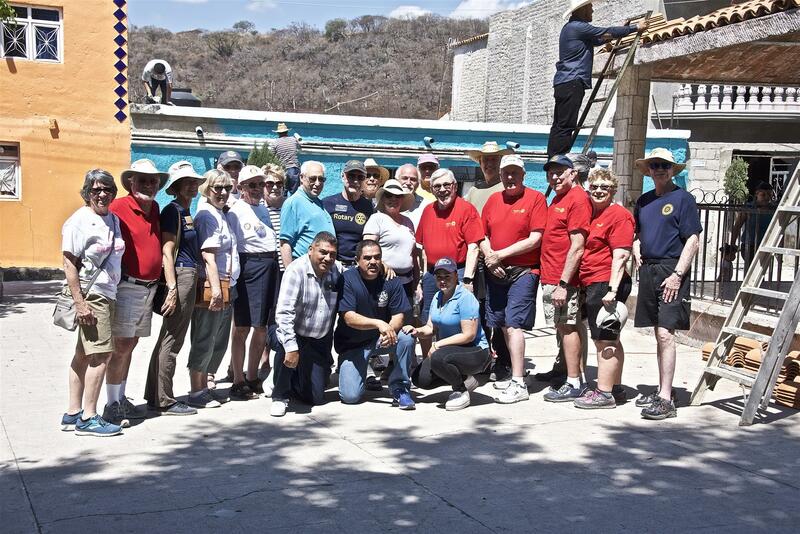 Coming up at our April 25 meeting (remember, no April 18 meeting) our own Rotarians will share about their Mexico trip!